Facebook’s new collaborative photo albums let users save virtually any post from the social network, including photos and videos, text posts and even check-ins, as pointed out by The Verge. 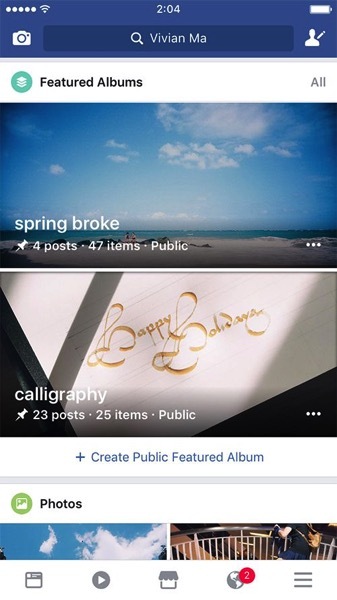 The company is also making it easier to add friends as contributors to create shared albums, and adding the ability to display a “featured album” prominently on your profile. The social networking giant wants to turn the sometimes forgotten photo albums feature into a way to store memories of all types. It wants users to think of albums as a place to dump scraps of daily life with a focus on which friends were involved and what you were doing with them. You can now also subscribe to a friend’s album to receive notifications when updates are added, making it more of a personalized feed. Some users may be hesitant to store photos on Facebook that are not being deliberately edited and shared to a wider audience, as opposed to somewhere slightly more private like Google Photos or more curated like Instagram. Facebook it seems, recognizes this. This could also be seen as a way to make Facebook sharing more casual, in the vein of Snapchat, especially given the success of the more lightweight and well designed Instagram Stories feature that disappears photos and videos after just 24 hours. The feature is rolling out on the desktop version of Facebook starting today, with iOS support coming soon as well.